Hull was once one of the great North Eastern trading centres. With a proud maritime history, the city retains its unique identity and offers visitors a distinctive experience. Yorkshire’s Maritime City, this year the City Council is aiming to improve the its visitor attractions at the Maritme Museum, the Dock Office Chambers and the North End Shipyard. The Council succeeded in the first leg of gaining £27.4 million. This is to fund a project to conserve the historic Arctic Corsair and Spurn Lightship for future generations. Founded in the late C12th, Hull’s location at the junction of the rivers Hull and Humber ensured that it became a major port. Hull grew rich in the industrial revolution, with docks, civic buildings and its flourishing maritime industry. Today a major influence on the look and feel of Hull’s city centre was the Blitz of WWII. As was the case in Coventry, bombing destroyed most of the city centre. There are though a number of historic sites that survived. A variety of city tours can be booked with the city’s English Heritage Tour Guide. There’s also a number of themed walking trails which are printed in leaflet form or shown on signage. 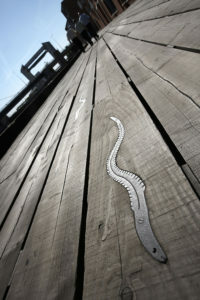 The Fish Trail is creatively marked out by an A-Z of fish sculptured into paving stones. Visitors may wish to start their tour at the Maritime Museum, which tells the story of Hull’s proud maritime past. It’s at the centre of the city on the edge of the Old Town in Victoria Square. Once home to the Hull Dock Company; the building is a striking example of Victorian architecture. The museum has a whole gallery dedicated to the whaling industry. It includes a full-sized white whale skeleton and an impressive scrimshaw collection, reputed to be the largest this side of the Atlantic. Entry is free and guided tours can be arranged if booked in advance. Some of the city’s finest buildings can be found in or around Victoria Square, which is also home to a bronze statue of the monarch. The ornate City Hall, opened in 1909, features two figures each side of its entrance depicting drama and comedy. 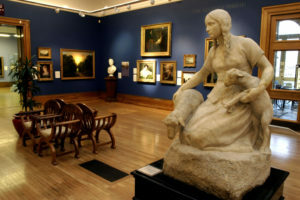 Across the square from the hall is Ferens Art Gallery. The classical style gallery boasts work by Antonio Canaletto, Stanley Spencer and David Hockney, to name but a few. To the edge of the square is Princes Quay, one of Hull’s four shopping centres. 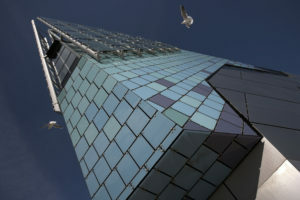 Built above the former Princes Dock, it features around 70 high street shops, as well as cafes, restaurants and a cinema. A major festival comes to Hull this year from 11th to 14th September at Hull University and nearby venues. The British Science Festival is Europe’s oldest, and each year travels to a different place in the UK. This year the event will be in Hull. The programme will include free talks, debates, workshops and drop-in events aimed at the non-scientific (but curious) general public. Previously the festival has also included live music, and film screenings. The event has been the stage for many iconic moments in history. Notably, this included the famous 1860 debate on Darwin’s theory of evolution between Thomas Huxley and the Bishop of Oxford. It also saw the first use of the word ‘scientist,’ in 1834. The Festival has announced that Professor Jim Al-Khalili will be the next President of the British Science Association. He will begin the role in September by delivering the annual Presidential Address at the Festival in Hull. Events are free, but booking is recommended. To the side of Princes Quay, is Posterngate that takes you into the Old Town. A good place here to stop for lunch is the Mission pub. Originally a Seaman’s Mission, it features a charming area, once the mission’s chapel, with stained glass windows and wooden pews. Nearby is the impressive Holy Trinity Church, England’s largest parish church by area. Hull Trinity House, has a magnificent 18th century façade. And, the old Hull Grammar School dates from the C16th and boasts poet Andrew Marvell and William Wilberforce among its alumni. The School now houses the Hands on History museum. the Humber estuary and offers great views from its top floor. Home to around 3,500 fish, including sharks and rays, it boasts one of the deepest aquariums in the world and even has an underwater lift.The exhibitions are arranged in zones, from coral reefs to ocean depths. And as well as being a major visitor attraction, The Deep also acts as a conservation and educational charity. There is a cafe and pre-booked parties of more than 10 are offered a discount on the entrance fee . A walk across the River Hull will bring you to the High Street, where there is a great example of Georgian architecture and a symbol of Hull’s C18th heyday. At 160 High Street stands Maister House with its impressive Palladian style hall and Robert Bakewell artistic wrought-iron banister. The house is now home to a firm of arcitects, but the hallway is open to the public during office hours. 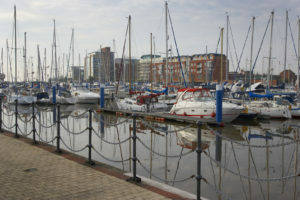 The city’s museum quarter, centred around the pleasant Nelson Mandela Peace Garden, is just a short distance from Maister House and is home to four excellent and very different museums; the Streetlife Museum, Arctic Corsair trawler, the Hull and East Riding Museum and Wilberforce House. All provide free entry and a diverse insight into the history of the city. The Streetlife Museum tells the story of 200 years of transport history and houses a number of collections acquired by Hull’s influential first curator, Thomas Sheppard. An account of the curator and his work appears at the entry to the museum; stop a moment before entering the exhibitions to read the story of this fascinating man. The museum’s galleries house a range of transport collections, from trams and buses to tricycles and carriages, and are complemented by street scenes and shop layouts from the past. On the ground floor, are vehicles, including the oldest tram in Britain, the Ryde Pier 3. Visitors can board the vehicles and sample the sights, sounds and smells of years past. On the Hull-York mail coach where you can experience every bump and sound while travelling along a C19th road in a horse-drawn carriage. The simulation forms part of the museum’s carriage collection, which is one of the finest in public ownership in Britain. The Arctic Corsair on the River Hull is the town’s last surviving sidewinder trawler. It is now a museum ship and tells the story of Hull’s deep-sea fishing industry. Life at sea could be dangerous, an Icelandic gun boat rammed the Arctic Corsair during the Cod Wars of the 1970s. The ship is now a popular attraction open from Wednesday to Sunday from March to October. Guided tours by retired trawler men are available if booked in advance. Yorkshire’s Maritime City, this year the City Council is aiming to improve the City’s visitor attractions at the Maritme Museum, the Dock Office Chambers and the North End Shipyard. The Council succeeded in the first leg of gaining £27.4 million. This is to fund a project to conserve the historic Arctic Corsair and Spurn Lightship for future generations. Hull and East Riding Museum of archaeology, is to the side of the Streetlife Museum. Here is the story of the region’s 10,000 years of history including an Iron Age log boat and the only dinosaur bones found in East Yorkshire. Wilberforce House is the birthplace of Hull’s most famous son. The C17th building where William Wilberforce spent his early years is now a small, well curated museum. It tackles the story of the trans-Atlantic slave trade and its abolition. The exhibition includes displays on modern forms of slavery, the history of slavery. Journals, books and other personal belongings are on show. But perhaps the most fascinating and shocking display is the Brookes model ship. The model shown to parliament depicts the conditions in which slaves were transported. Tours of the museum by the museum’s knowledgeable curator are available. On Market Place, is the wonderful Hepworth’s Arcade. Built in the 1890s, it has independent retailers, a fabulous joke shop and some great vintage clothes shops. The city’s Edwardian indoor market, Trinity Market, is worth a visit. Even if only to see the pictures of personalities from Hull that hang outside the Spin Off Records store. The George Hotel is one historic pub; others to visit are Ye Olde White Harte and Ye Olde Black Boy. Those with a real interest in pubs and their history can even book a tour of Hull’s historic pubs. 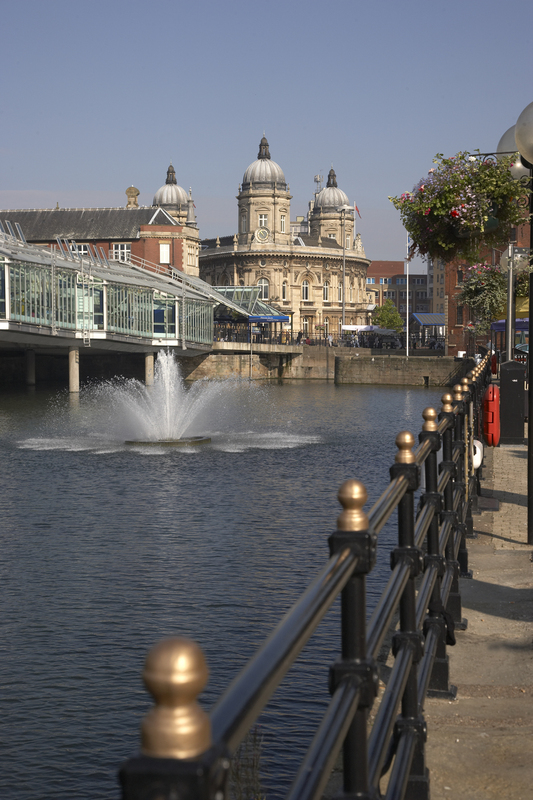 In Hull’s main retail area, there are 3 large shopping centres offering a dizzying array of goods and eateries. And, on Ferensway is the independent theatre company, Hull Truck Theatre. Hull’s transformation in recent years has been truly remarkable. By walking through the Old Town and visiting some attractions, you will find a city that has a proud history.